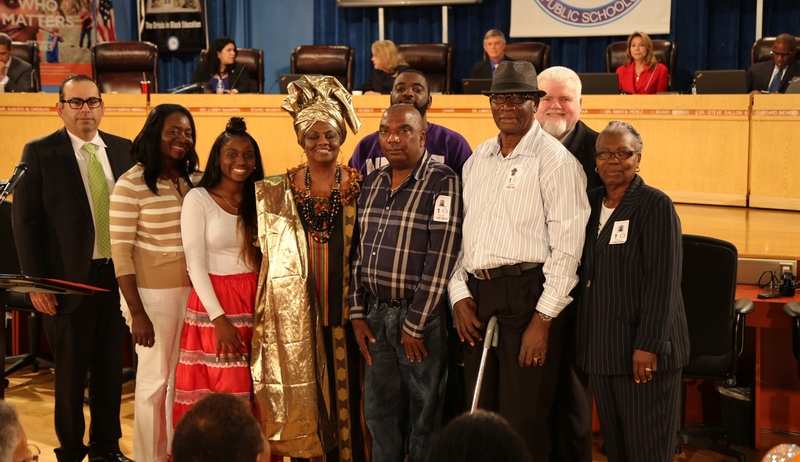 School for Advanced Studies (SAS) North senior and SAS Silver Knight Nominee in Drama Jessica Lamour performed “400 Years America and Still I Rise” on WLRN live television at the MDCPS Board meeting of February 15, 2017. Jessica was invited to perform by Dr. Dorothy Bendross-Mindingall to honor Black History Month. The auditorium was full and Jessica received a standing ovation at the conclusion of her performance and many accolades by the subsequent speakers. Dr. Bendross-Mindingall and her chief of staff Cedric McMinn were instrumental in making this happen. Dr. Bendross-Mindingall even commented on the logic of Jessica being nominated for the Silver Knight in Drama. She absolutely has a lot of talent in dramatic interpretation in addition to her stellar academic performance. We are very proud of Jessica Lamour, her family and SAS! Posted on February 15, 2017 February 15, 2017 by District 2 MDCPSPosted in Agenda Items, MDCPSTagged #BlackHistory.